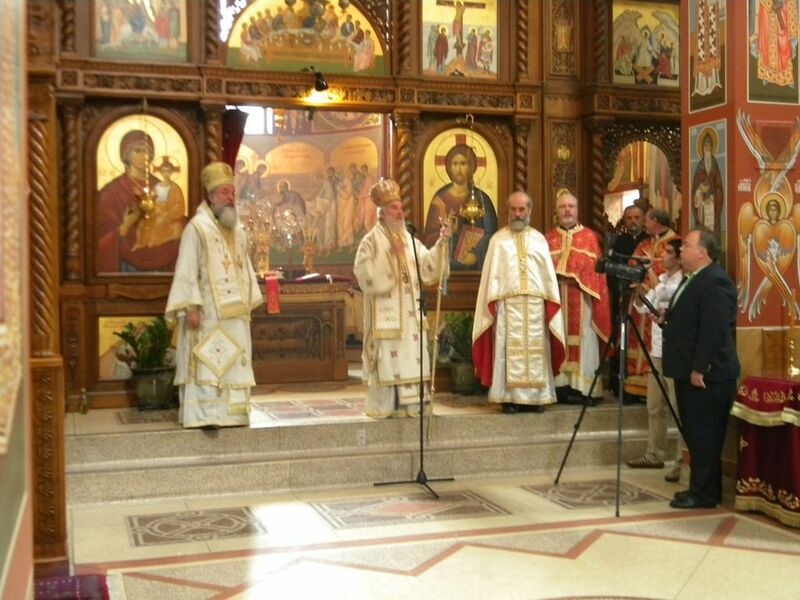 Grayslake, IL - On Sunday, August 13, 2012 His Holiness Irinej, Serbian Patriarch officiated at the Holy Hierarchical Divine Liturgy at the New Gracanica Monastery with the concelebration of His Grace Bishop Longin of New Gracanica and Midwestern America and many clergy and deacons. 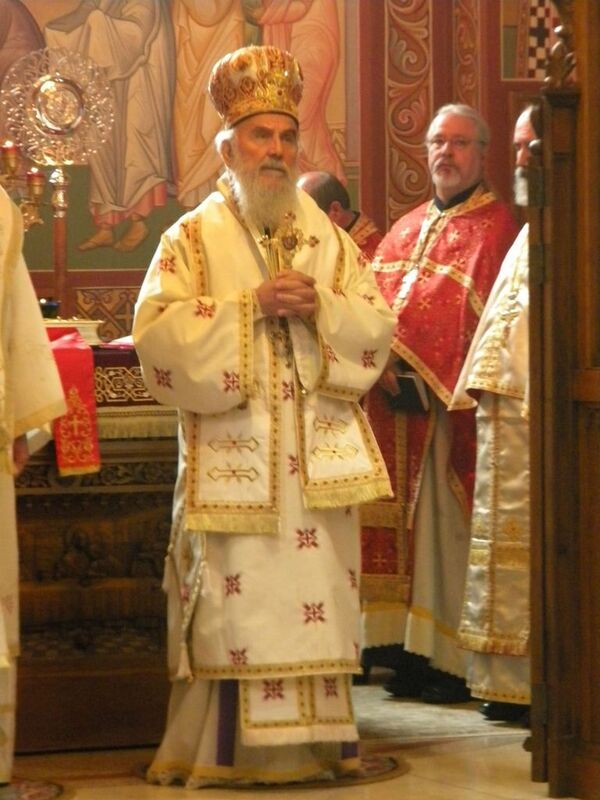 At the end of liturgy His Grace Bishop Longin addressed His Holiness, welcoming him to the New Gracanica monastery and the Diocese of New Gracanica and Midwestern America, expressing his great joy that His Holiness, for the first time since his enthronement, served the liturgy in this monastery. 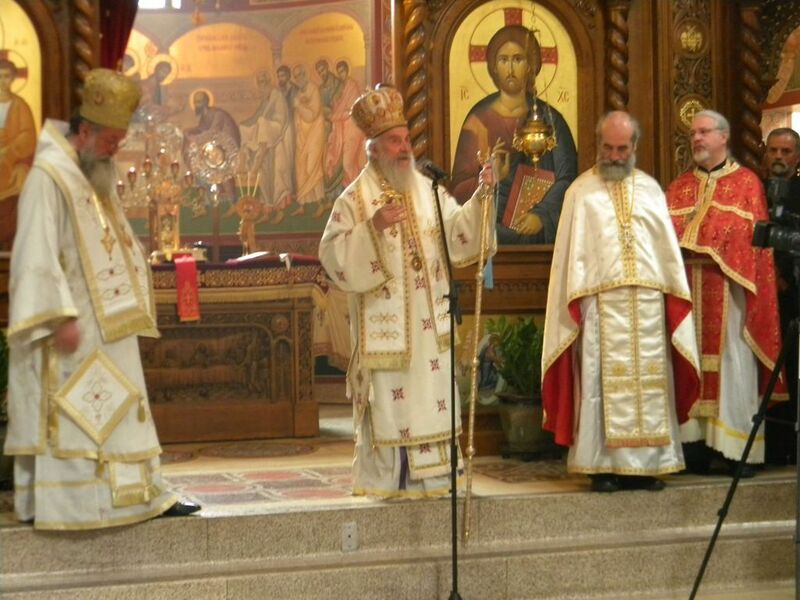 His Holiness addressed the faithful present and pointed out in particular the beauty of the New Gracanica monastery which, with its beauty serves today to the pride of the Serbian people. His Holiness, in his homily, stressed the importance of the presence of the Serbian people in America and throughout the world. Many are in the diaspora, not of their own will, but in this, he noted, we see God's will, for without the presence of the Orthodox in these areas there would be no need for Orthodox mission. His Holiness, in his homily, also stressed the importance of unity among the Serbian people and the Serbian Orthodox Church in region but also worldwide.